Most of us have observed our four-legged companions go crazy for a favorite toy, and it’s often a toy with a squeaky noisemaker inside. 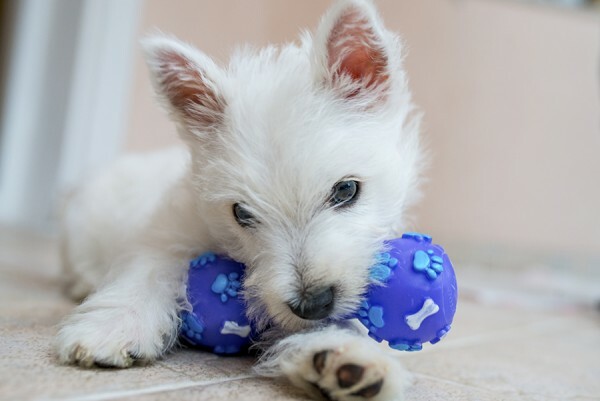 Have you ever wondered why dogs love squeaky toys so much? Although it’s tempting to think the rascals just enjoy irritating us with the incessant squeaky noise, there are a couple of theories about why dogs are attracted to squeaky toys. You might notice that your dog seems to lose enthusiasm for a toy once the squeak-mechanism has been removed, so it does seem as though it’s the squeaking aspect of the toy the dog is drawn to, rather than the form of the toy itself. Domestic dogs are descended from wolves and some theorize that the squeaky noise is reminiscent of the squeaking sound frightened or injured prey would make, appealing to your dog’s hunting instincts. Once the squeaker has been removed, the prey is “dead” and your dog’s job is complete. Of course, it’s also possible that dogs just enjoy getting the auditory feedback when they’re playing–the squeak is a reward in itself. 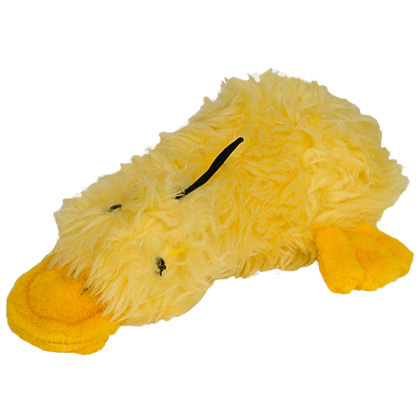 Duckworth Splash is soft and cuddly and has a squeaker in the center of the toy that, when squeezed, makes a squeaky sound that dogs love! 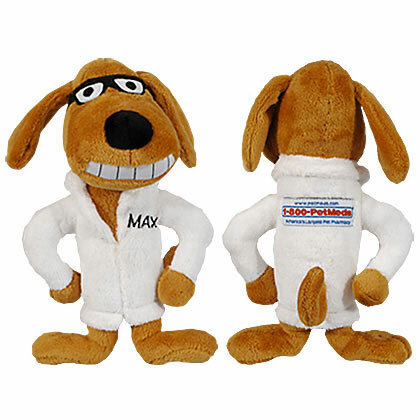 Max, TV Star is the PetMeds mascot and comes to life as a real toy dressed in a dapper lab coat. Max has a soft texture that’s easy on your dog’s mouth and he comes equipped with two squeakers for twice the fun. Sea Shammies Plus Dog Toys are soft and cuddly and they’re shaped like fun creatures found under the sea. 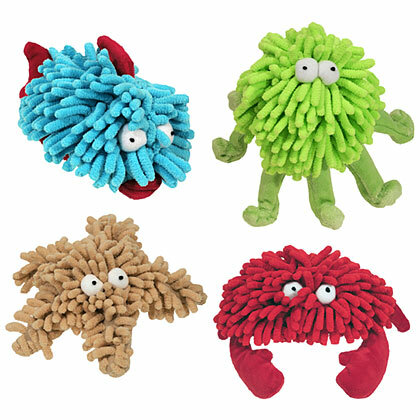 These colorful toys are made of plush polyester fibers that sway and move when our dog plays with them, and the squeaker inside adds even more fun! Remember, if your dog is an aggressive chewer and tends to quickly remove the squeaking mechanism from toys, you might consider choosing another more durable type of dog toy as the “squeaker” can be a choking hazard. ← What’s That Little Flap on Your Cat’s Ear?